The Toronto Real Estate Board reported 2,857 transactions through the TorontoMLS system during the first 14 days of August 2012. This mid-month result represented a dip of 7.6% in comparison to 3,091 sales reported during the same period in 2011. “A number of factors played into the dip in sales in the first half of August. Sales growth in the spring was very strong, suggesting that some buyers sped up their decision to buy. Stricter mortgage lending guidelines that came into effect at the beginning of July likely prompted some households to put their buying decision on hold. Finally, relatively higher home prices and the additional upfront cost of the City’s Land Transfer Tax go a long way to explain the more pronounced dip in sales in the ‘416’ area code,” said Toronto Real Estate Board (TREB) President Ann Hannah. The average selling price for the first two weeks of August in the Greater Toronto Area was $480,180 – up 9.2% in comparison to 2011. “The strong annual rate of price growth so far in August was driven by the single-detached market segment, particularly in the City of Toronto. 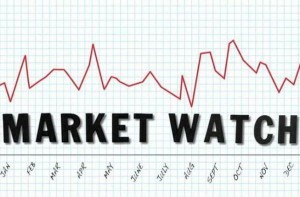 While this segment of the market has been consistently tight over the past year, the strong double-digit price growth for single-detached houses in the City suggests that the mix of houses sold this year compared to last also changed, with higher end homes accounting for a greater share of sales this year,” said Jason Mercer, TREB’s Senior Manager of Market Analysis.